For courses in programming and computer science. 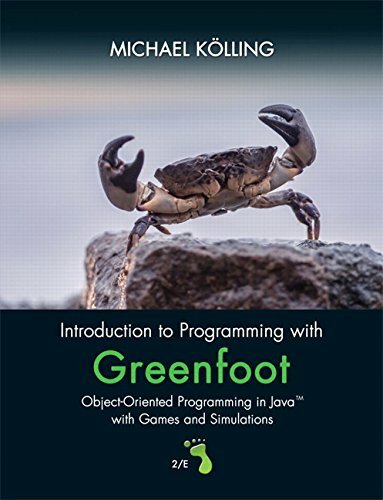 Introduction to Programming with Greenfoot: Object-Oriented Programming in Java with Games and Simulations teaches the basics of Java computer programming languages in the context of Greenfoot. Readers are able to learn the general fundamentals and principles of programming by creating their very own fun and interesting games and simulations. Major concepts are conveyed in modern, object-oriented programming language through hands-on, practical activity that allows readers to create, observe, and play. The Second Edition employs a unique approach that teaches by doing--concepts are often explained after readers have had a chance to engage in interactive examples. Because of its uniquely hands-on approach in the context of the Greenfoot environment, Introduction to Programming with Greenfoot makes programming a fun, interactive subject for readers to enjoy.